The Spring 2017 issue of Ochsner Journal takes readers inside the operating room with its Focus on Transplantation section. Along with 11 articles on various topics related to organ transplantation, the issue also includes a stunning array of photos from actual kidney, lung, and heart transplant operations. In addition to the transplantation focus section, the spring issue also includes a nice collection of original research and cases. We invite your comments on the issue. 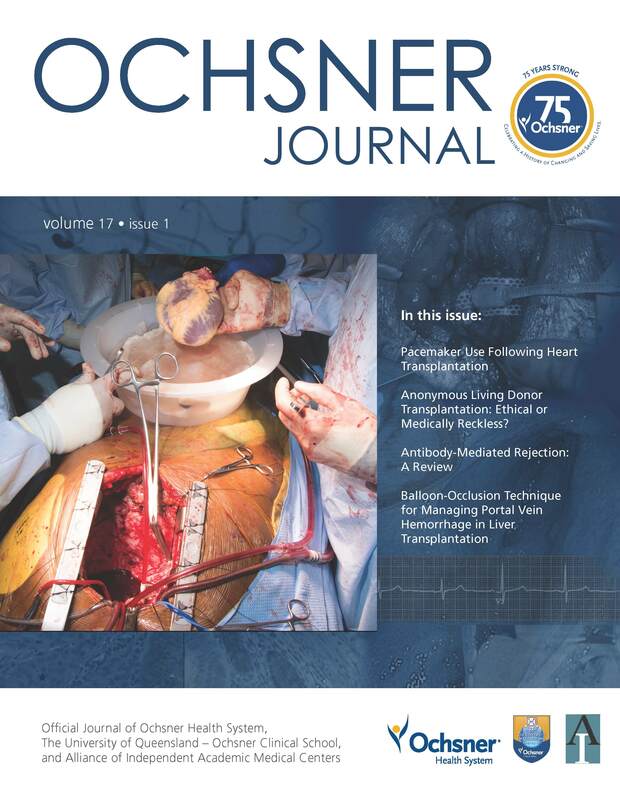 To subscribe to the Ochsner Journal electronic table of contents and receive notification when a new issue is posted, complete this brief form.